Italy vs Liechtenstein predictions for this Tuesday’s UEFA Euro 2020 qualifier as the Azzurri aim to see off the minnows in Parma. Read on for our free betting tips and predictions. Italy face a home game against Liechtenstein this Tuesday as they look to banish the painful memory of missing out on the 2018 World Cup further into the past. 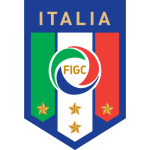 They will strongly be expected to win this Euro 2020 qualifier which will be played in Parma and anything less than a convincing win would be a setback for Roberto Mancini’s revolution. The former Man City boss has ushered in a new generation of talent whilst trying to hold onto those solid defensive foundations for which Italy are best known. Experienced Juventus duo Leonardo Bonucci and Giorgio Chiellini remain at the back but Mancini has been experimenting in midfield and up front. He would have been encouraged to see teenager Moise Kean get his first international goal in the 2-0 win over Finland on Saturday. Liechtenstein got their campaign underway with a 2-0 home defeat against Greece. It would certainly be an understatement to say not much is expected of them in this group. Even in the Nations League against fellow minnows, they could only win 1 of their 6 matches, losing all their away games including a defeat in Gibraltar. If they are not careful, this could turn ugly for them and they were beaten 5-0 in Italy during 2018 World Cup qualifying. Even the home match produced a 4-0 defeat. Clearly there is a huge gulf in class here but it’s also worth noting that this Italy squad is full of relative newcomers to the international scene that will be hungry to make a point. They at least seem to be buying into Mancini’s philosophy and motivation shouldn’t be a factor with Italy keen to make amends for the failure to make it to Russia. Liechtenstein are the sort of side you want to face when you’re looking for a confidence boost and trying to build some attacking fluency. They were hopeless in 2018 World Cup qualifying, losing all their matches and conceding 3.9 goals per game on average. As well as the heavy losses to Italy, they were hammered 8-0 twice by Spain and even their two games against Macedonia produced an aggregate defeat of 7-0. For all their problems in recent years, Italy still have some good players and they’ll be hungry to put a few goals past the minnows here so backing Italy -4 Handicap could be worth a punt. The sides met in qualifying for the 2018 World Cup. Italy won 5-0 at home and 4-0 away. 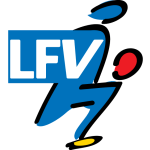 Liechtenstein have lost their last 15 qualifiers (Euros and World Cup). 4 of those defeats were by 5 or more goals. Italy have kept 4 straight clean sheets heading into this match.